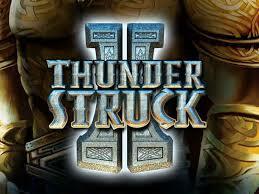 Thunderstruck II Slots - 243 different ways to win across 5 reels! Join Mobile Bingo Bonuses as we journey through Asgard, in search of deities and heroes that hold the key to riches never before seen outside or Norse mythology, Thunderstruck II slots are the highly anticipated sequel to the game of the same name, that takes online slot playing to a whole new level. 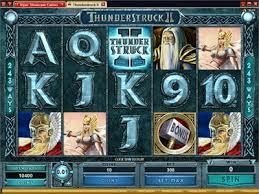 Originally released in 2010, Thunderstruck II slots soon reached the heroic status as some of the main characters within the theme, which is pretty impressive being as the game features Thor the Norse God of Thunder, it remains one of the most played slots even today and is a definite jewel in Microgaming’s crown. What is Thunderstruck II Slots? Thunderstruck II Slots is video slot game that offers players 243 different ways to win across 5 reels, it also carries standard slot features such as wilds, spins, multipliers and bonuses, as well as unique aspects like Player Achievements which displays all of your wins in a pay table. In a completely new twist on the way you usually play online games, Thunderstruck II Slots has no pay lines, which leads to players being able to even more winning opportunities, in fact there are actually 243 winning combinations you can choose from. With variable wagering options from as little as 0.01 coins, Thunderstruck II Slots is one of the most rewarding online slot games that pays a jackpot of 2,400,00 credits, there are also several bonuses you can enjoy as you spin the reels, for instance in the WildStorm bonus feature you can watch Thor’s lightning bolt turn up to 5 reels into wilds. The Great Hall of Spins is a bonus feature which is revealed when you spin three or more bonus Hammer symbols; make your way through the various stages where big wins await you by unlocking chambers, every time you unlock this feature the bonuses get even bigger as you will continue exactly where you left off last time. There are three symbols available that offer bonus spins, The Valkyrie symbol rewards players with 10 bonus spins with a 5x multiplier, but better still every time the symbol appears during the bonus round another 10 bonus spins will be added to your spin total, Loki awards players 15 bonus spins while Odin goes up to 20 spins. Odin also offers players 2 or 3 times wild multipliers through his ravens and if both birds choose the same symbol, players are rewarded with a 6 times multiplier, Thor awards players 25 bonus spins with a five times multiplier when they reach his chamber in the Great Hall of Spins. Thunderstruck II Slots has completely revolutionised the way we play slots online or on mobile, it also offers players an unusual amount of possibilities to win.